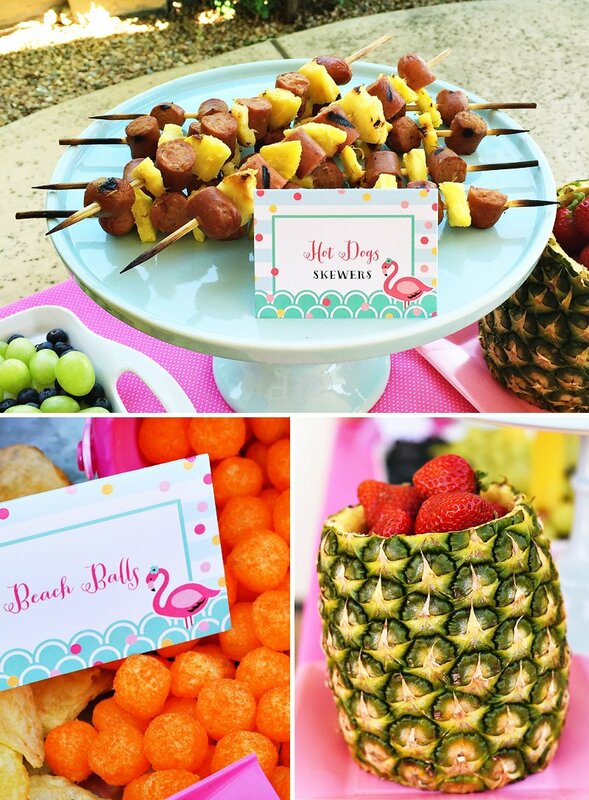 “Pineapple Palms” in a berry blue wading pool + “Take A Dip” veggie cups – so cute! 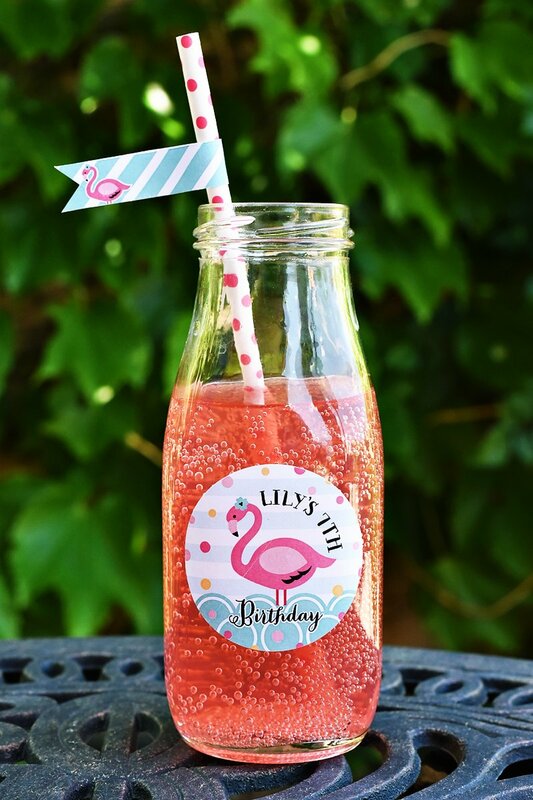 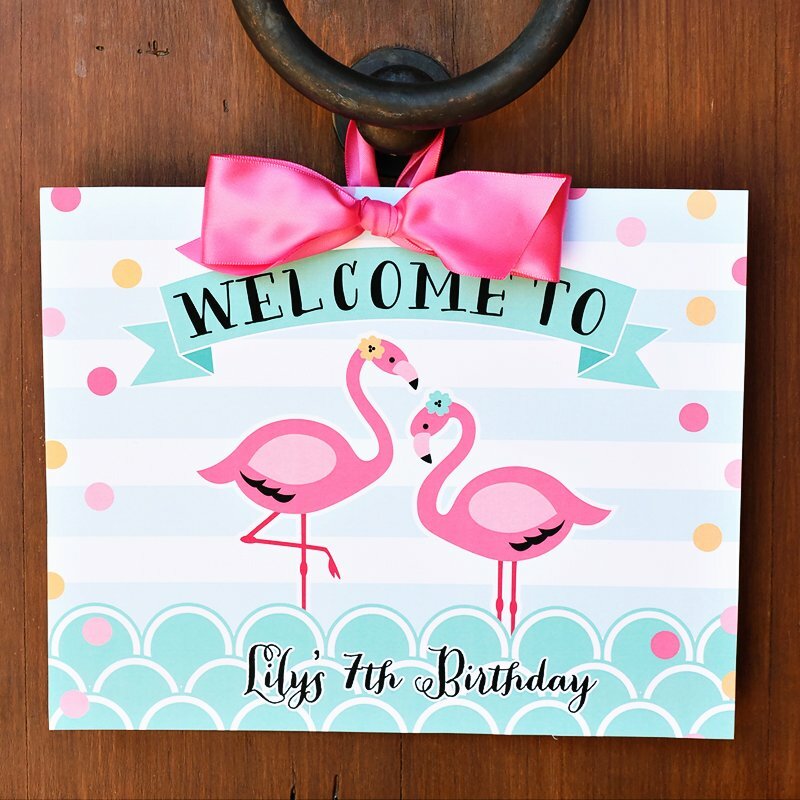 A fashionista in the making, Lily asked for an uber stylish flamingo pool party for her 7th birthday. 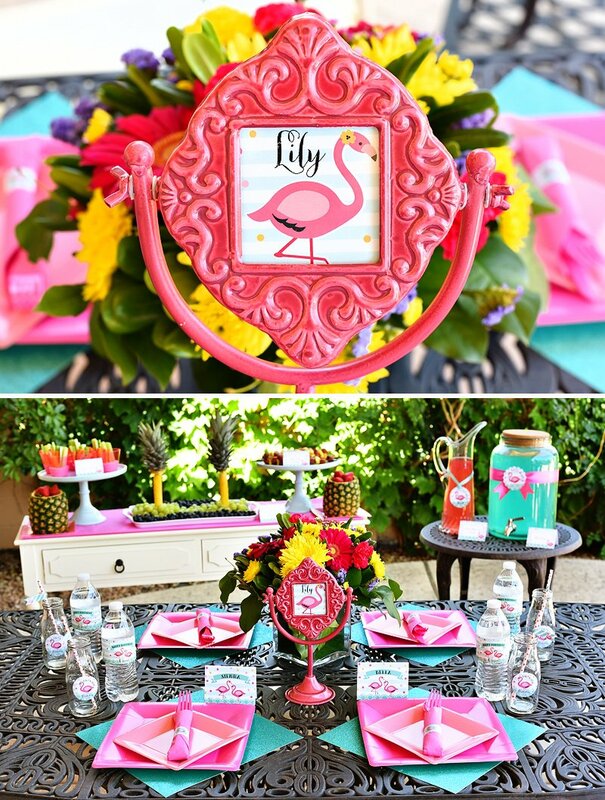 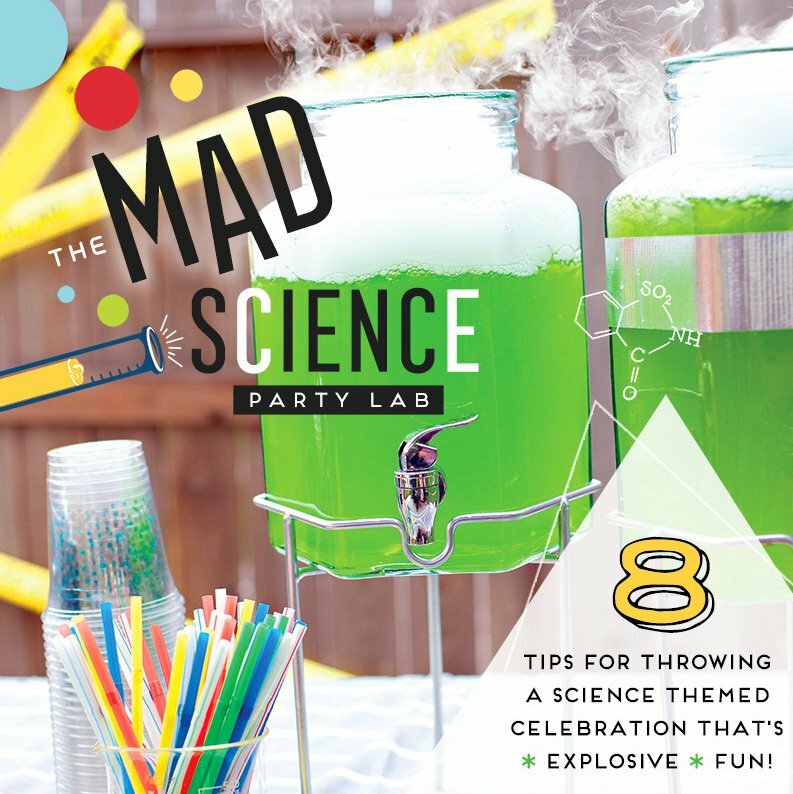 We created this party to help beat the heat of the summer, and to give Lily and her guests a splash of fun! 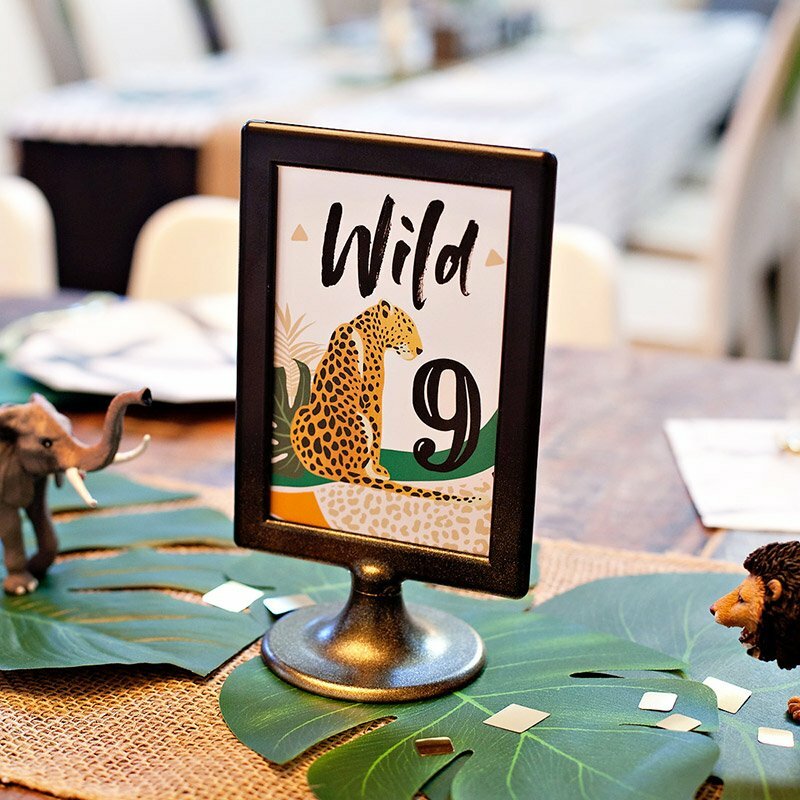 We chose to serve non-cramp inducing foods, and kept it light. 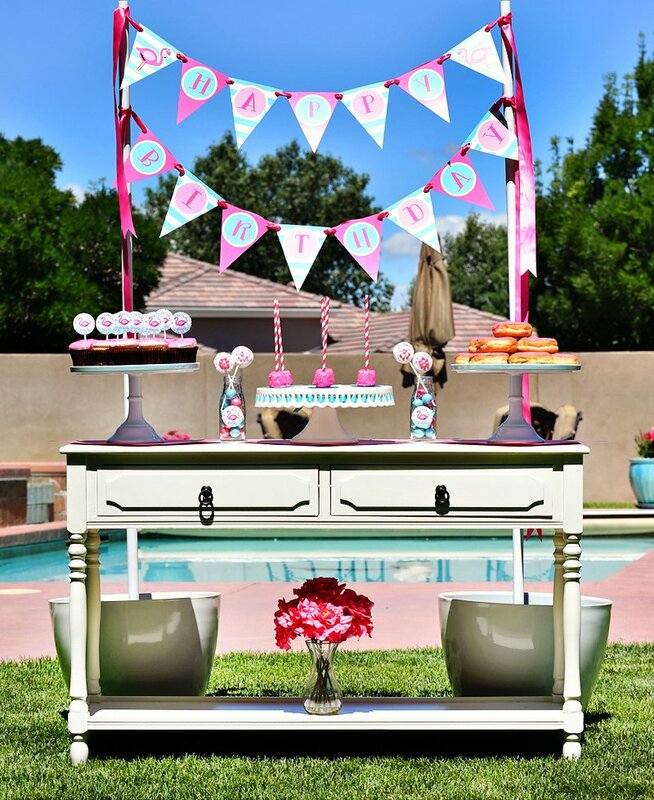 The fruit display was the big hit. 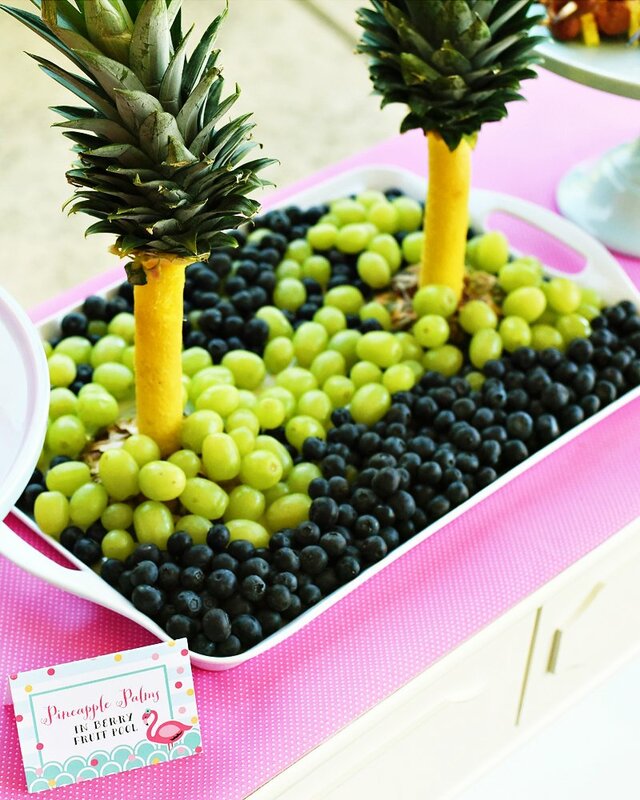 The kids helped themselves to berries and grapes while marveling at the pineapple palm trees. 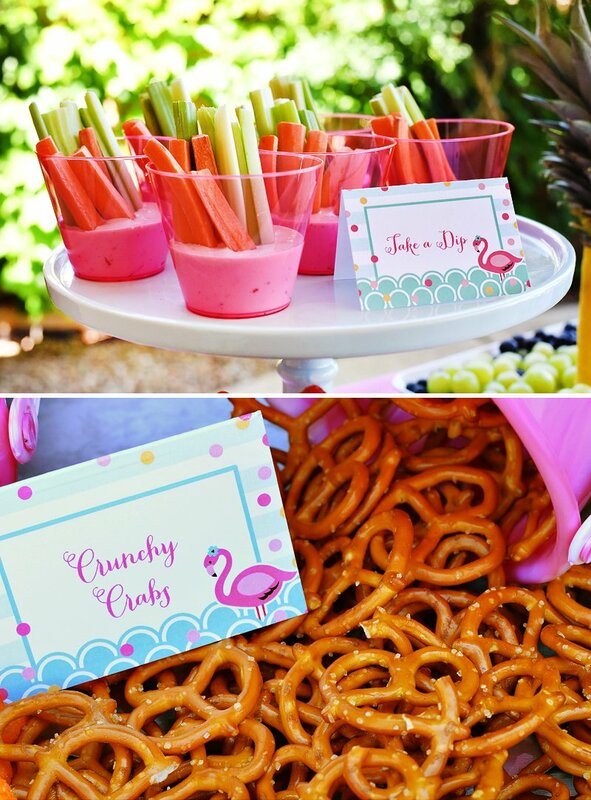 The “take a dip” veggie cups were also great fun. 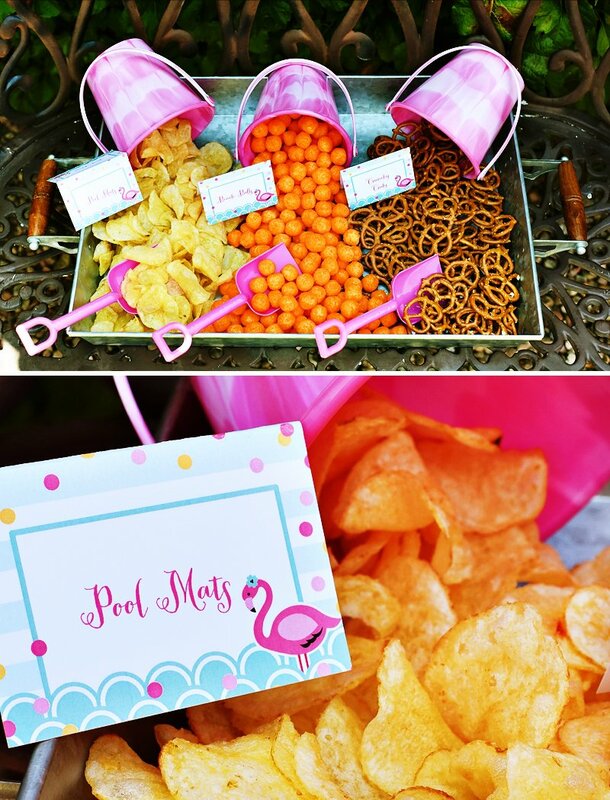 Since kids love munchies, there were buckets spilling pool mats (potato chips), beach balls (cheese balls), and crunchy crabs (pretzels). 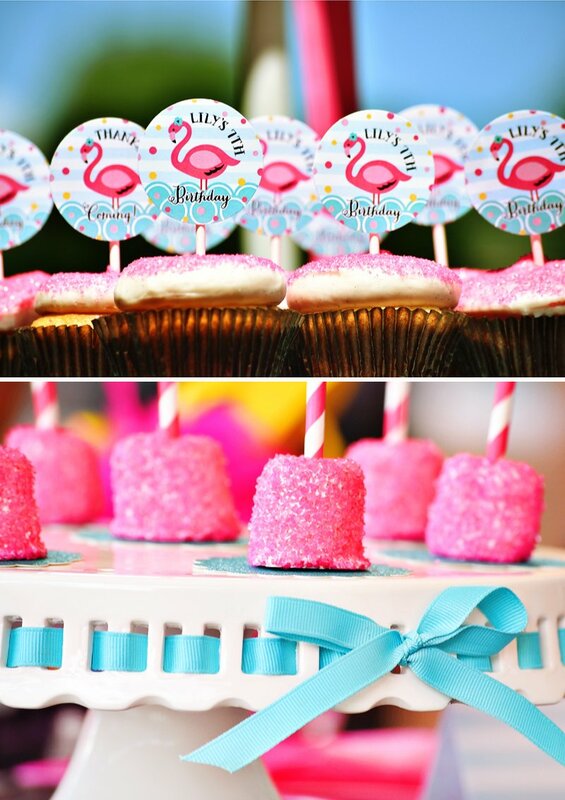 For dessert, we served up pink galore! 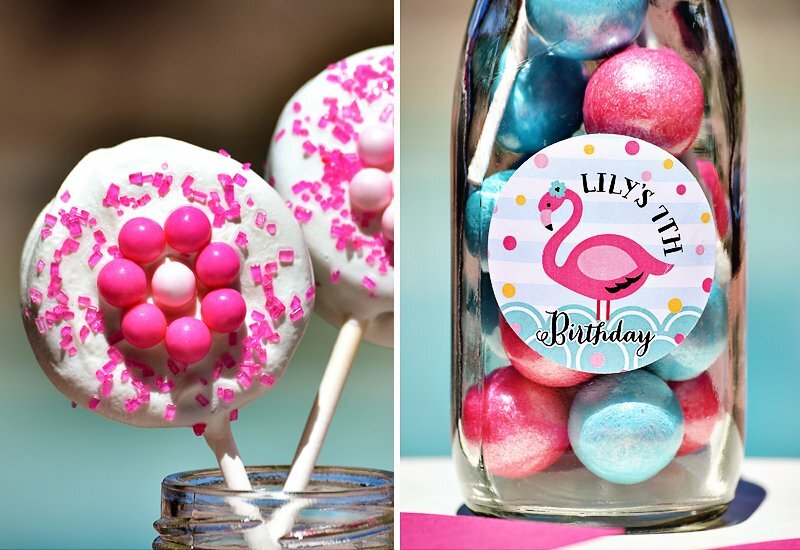 Pink sprinkle marshmallow sticks, pink doughnuts, pink cupcakes, and white chocolate covered Oreo pops, decorated with pink candy flowers of course! 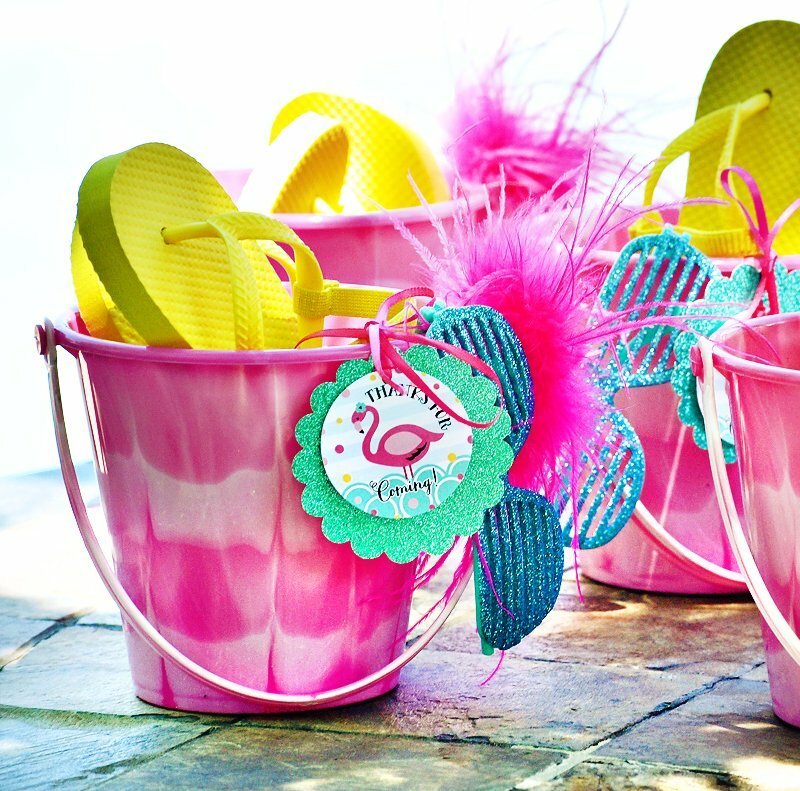 Instead of handing out party favors as the guests were leaving, Lily greeted her guests with pool party buckets, filled with poolside essentials such as flip-flops and shades. 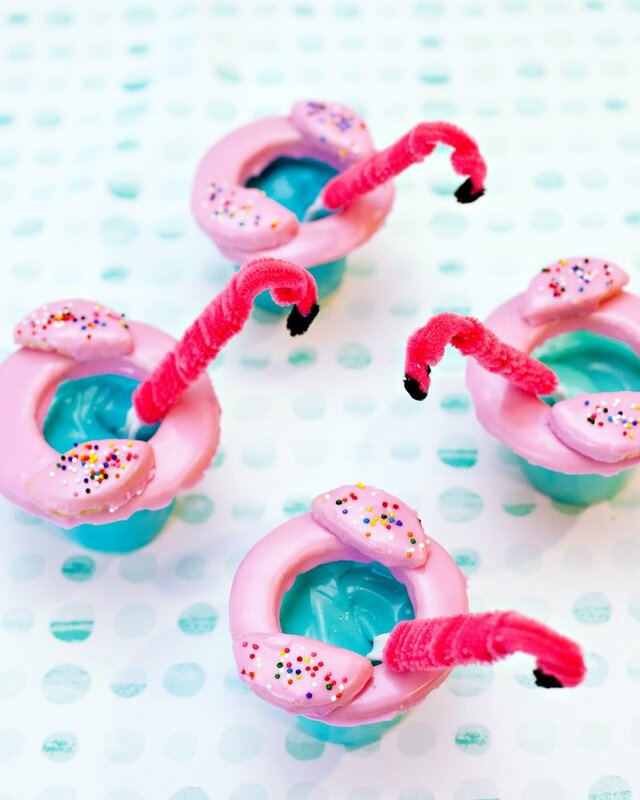 And what pool party is complete without a flamingo feathered hair clip? 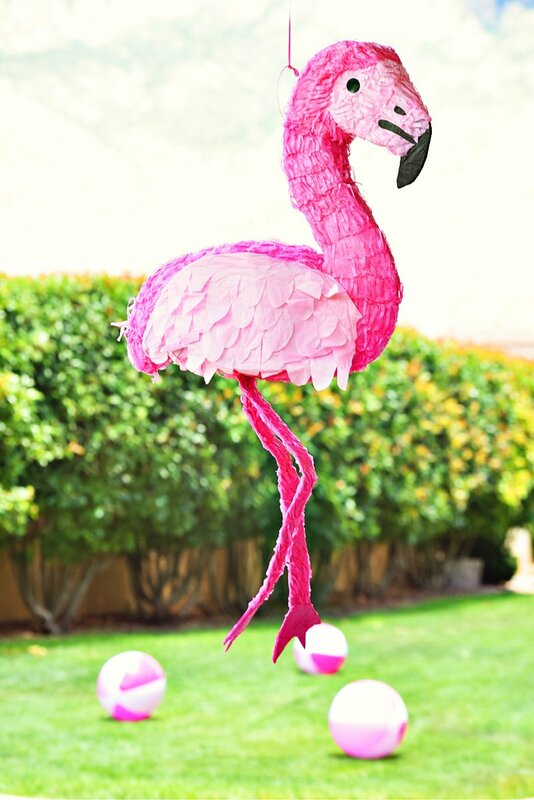 They were such a surprise to the girls. 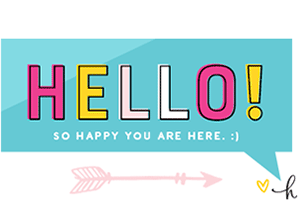 The day was full of splashing, beach balls and fun. 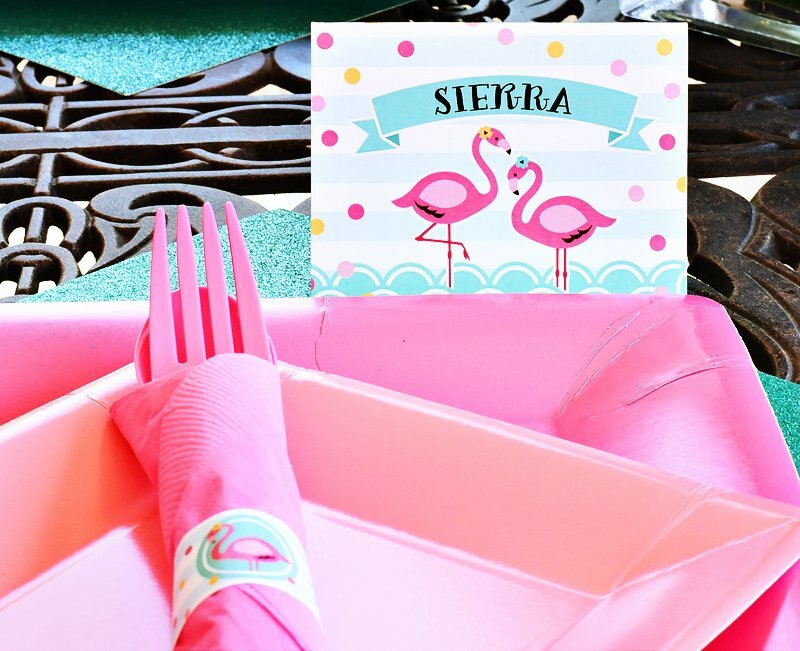 Chic & Creative Pink Flamingo Pool Party http://www.hwtm.com/2015/08/pink-flamingo-pool-party/ via @hwtm_jenn So excited to be on Hostess with the Mostess this morning. 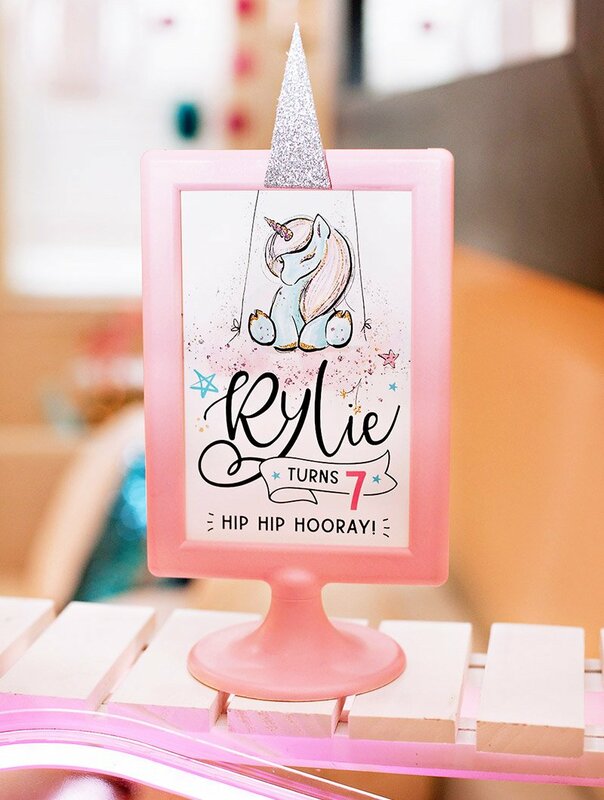 I love everything about this line! 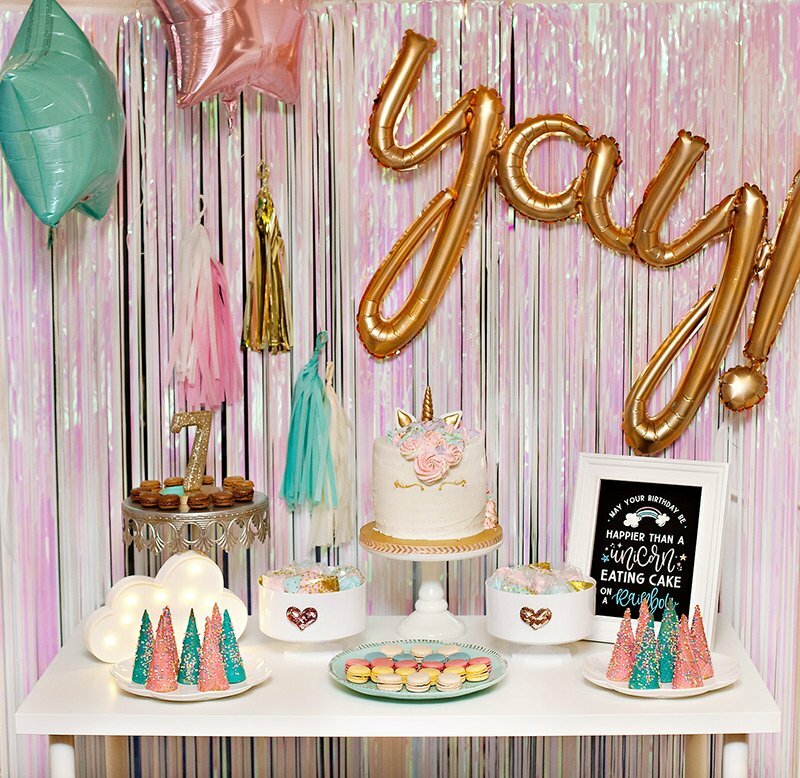 It’s beautiful, fun, festive and creative! 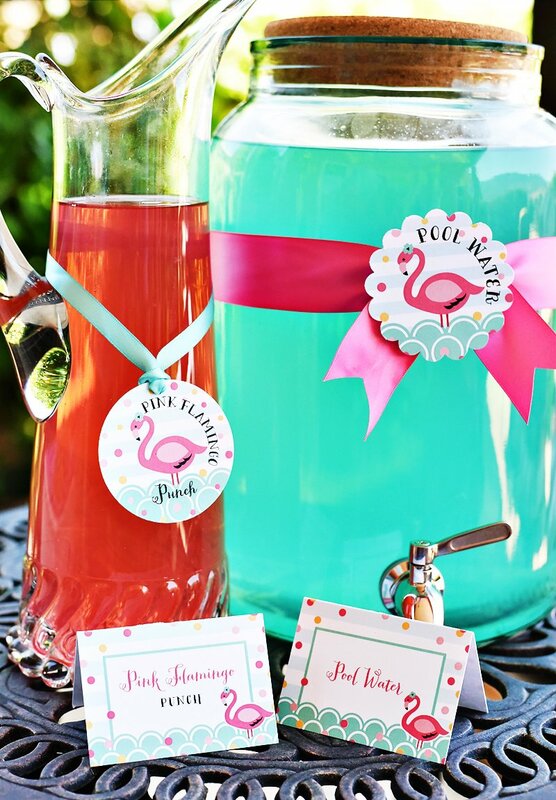 Eye candy in every photograph.